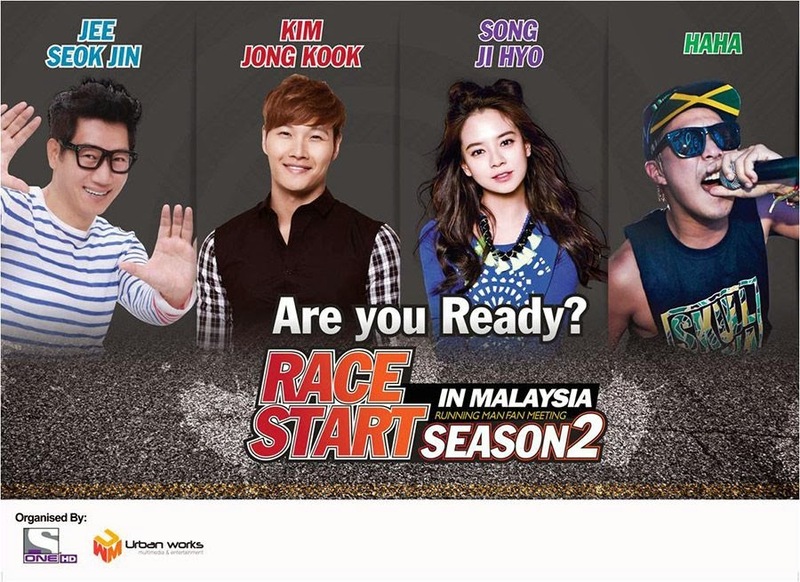 [Event] Running Man Race Start Season 2 in Malaysia, 2014!! Returning to Asia after the spectacular success of the first Race Start! Running Man Fan Meeting in Singapore last year, ONE HD presents Race Start Season 2 in Malaysia this November. For the first time ever, 4 members from the urban variety show – Kim Jong Kook, HAHA (Ha Dong Hoon), Song Ji Hyo and Ji Suk Jin, will be gathered in Kuala Lumpur for a fun filled 2 hour show featuring an exciting and riveting mix of comedy and song performances! Some lucky fans will even get to share the stage with the stars through interactive and specially tailored games! 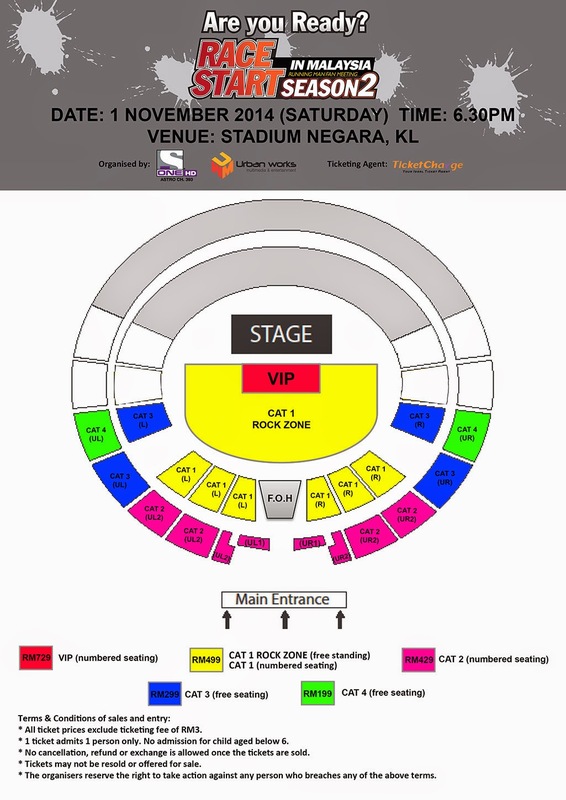 VIP (RM729) ticket holders will also receive an exclusive autograph pass, where they will get to meet the stars up close and personal, and get an autograph from one randomly picked Running Man cast member. Race Start Season 2 in Malaysia is organized by ONE HD & Urbanworks Multimedia & Entertainment, with Supporting Sponsor Red Bull No.1 Energy Drink in Malaysia. All VIP ticket holders can receive an exclusive autograph pass to meet the stars up close and get an autograph from 1 of the cast members!